Description MIM is a versatile wrapper format for 8-bit data (not 7-bit data), which represents images, video, audio, etc. It helps users to share media, not only text data, with ease. MIMs are either integrated into emails or shared as separate attached elements. MIMs are decoded by either standard email utilities and clients or third party applications. If you have installed a client supporting this format, it will decode your MIMs without a hitch. Generally, MIMs can be handled via a large number of client types on a variety of platforms. Files having the .MIME suffix are in no way different from MIM files. Description EML extension is typical for email files created in Outlook Express and other mail programs. Email in EML is saved in standard MIME RFC 822 format. 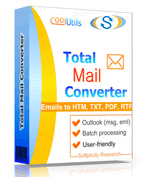 Such files consist of email title and body, recorded in text ASCII format. The mail body contains email content, attachments and hyperlinks. EML files can be exported for storing and archiving, or scanning for malicious code. Besides Outlook Express, EML files are compatible with Microsoft Entourage, Apple Mail, Thunderbird, IncrediMail, etc.